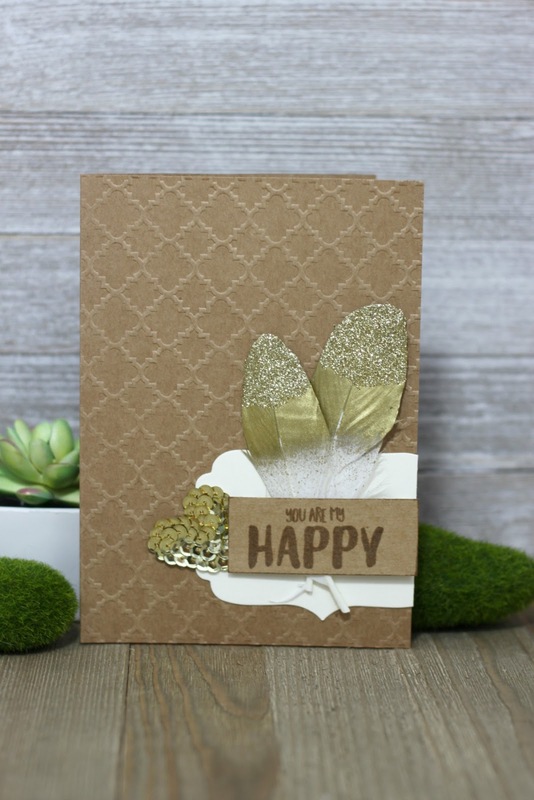 Here is a gold-trimmed everyday card for someone that makes you happy. This autumn season is perfect for kraft and gold combo such as in this card’s palette. The base was embossed and then the sentiment was stamped in brown ink onto kraft. The sentiment was added to the card with foam dots and then the lovely gold trimmed white feathers were added for that special touch. Last a gold sequin heart was adhered to the left side of the card for balance and bling.